If you’re always on a tight budget, you may find it difficult to dress well and look your best. However, dressing well isn’t tough at all even when you’re on a shoestring budget. All you need is a little tact and you can look a million bucks! Does that sound too good to be true? Find out for yourself by reading these tips! Whether you're going out with friends or attending a dinner party at the boss' place, remember to dress for the occasion at all times. No one is going to take you seriously if you turn up at a formal dinner wearing a pair of expensive jeans and a trendy t-shirt. On the other hand, a formal dress that you picked up for peanuts will make all the difference provided it doesn't look cheap. 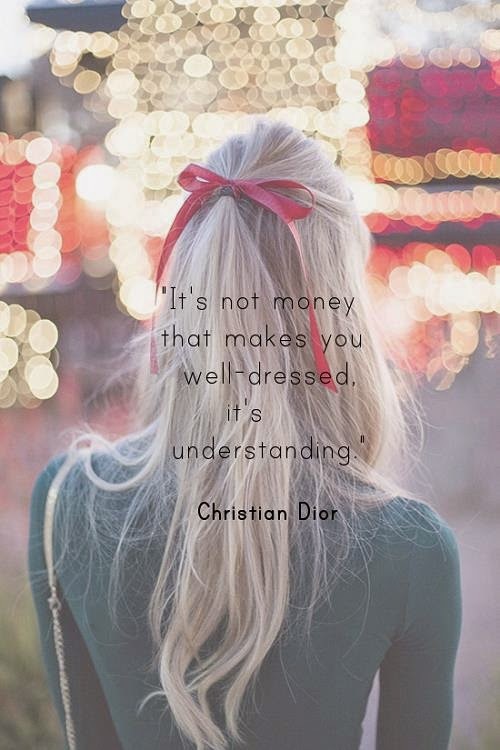 Remember that style cannot be bought with money! Learn to accessorize clothes the right way and you’ll definitely impress everyone. This doesn’t mean you go around wearing figure-hugging clothes all the time! You need to ensure that your clothes- whether formal or casual, fit you perfectly. Clothes that are too tight or too loose can make you look really bad. Spend ample amount of time to look for clothes that fit you well. You will find that all brands fit differently, so pick clothes that flatter you the most. If you have a problem with finding well-fitting clothes, find a good tailor and get readymade clothes altered. You could also consider getting your clothes tailored, though that might burn a hole in your pocket! But don’t sulk; you’ll look just as fine if you simply get your clothes altered. You don’t have to buy everything you can or cannot; dressing well doesn’t mean having something different to wear for all the days of the year. If you want to look like you wear different clothes every day, you can easily do so without spending a fortune. Just stock up on some basic clothing items! Look in your wardrobe and make sure you have all of these items. If you don’t, you know what to shop for! By having these essentials in your wardrobe, you’ll be able to mix and match them to create stunning looks every day. If you can’t resist the urge to go shopping for new clothes, just make sure you shop wisely. Now that you know what you have in your wardrobe, keep your existing clothes in mind and shop for items that will go well with at least two outfits. If you buy something that won’t go with any of your clothes, you’ll end up purchasing other clothing items or accessories that you don’t need to splurge on. So save yourself the trouble and think twice before buying clothes, bags, jewelry, or shoes. Make sure you look at the buttons and embellishments carefully before buying; you don’t want anything to be loosely attached or cheap looking. Clothes that are too shiny and short should be avoided; they can come across as cheap buys. Make sure the seams are flat. When it comes to handbags, choose ones that don’t have too many logos and unnecessary branding. Remember, the simpler the better. In case you need to buy make-up, always stick to buying tried and tested products and colors. You don’t want to buy a trendy color only to realize that the shade doesn’t suit you. Always test before buying and see if you can get freebies or sample-sized products. At times, the color can make a world of difference to the clothing. For example, earth tones, neutral colors, and jewel tones always look rich. On the other hand, neon colored items may come across as low-priced. Furthermore, if you're buying cheaper clothes, be sure to buy darker colors. This way, if the fabric is thin, people won't be able to tell! Be it Labor Day sales or holiday season sales, you can get great products at bargain prices if you look hard. Sign up for e-mail or text alerts from your preferred stores so you know when the sale is on. Furthermore, look at online stores too; you’re sure to get great deals when shopping online. Just be sure to keep above tips in mind; you don’t want to purchase unnecessary items! See? Looking great isn’t impossible when you’re on a budget. So get started and dress to kill! This article was written for Apparel Search by guest contributor Korie. Korie Cantor has been working as a freelance writer for a long time. She has a diverse background in blogging about fashion and beauty tips. When in leisure time, she loves to spend time with friends and family. Thank you for taking the time to read this budget fashion blog post. We hope that you have found this news to be informative. If you have comments or questions, please add your thoughts in the discussion area below.